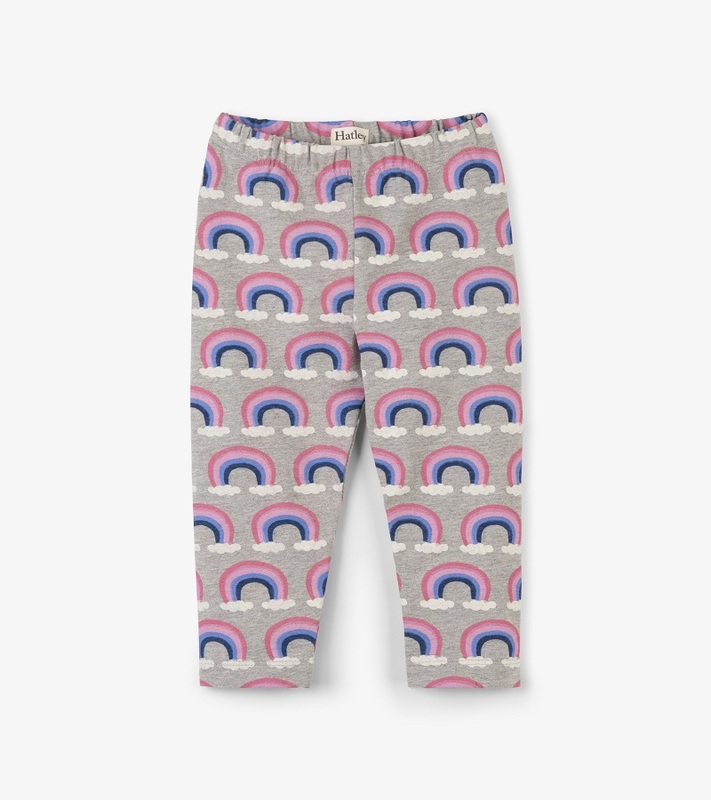 These ultra cute rainbow leggings are full length and are perfect for your little girls closet. Lots of stretch for ease of changing and elastic/pull on waistband. 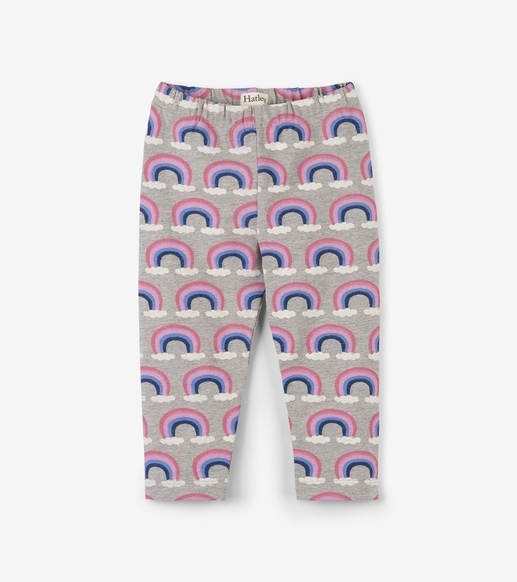 Made of 89.5% cotton/8% spandex/2.5% polyester by Hatley.